A classic award for a traditional office, our Black Zebra Marble Award will never go out of fashion. Made of black marble with white veining, this corporate award is hand-polished and features unique color patterns and variations in the natural stone. Your custom logo and message are expertly sandblasted with white for free! 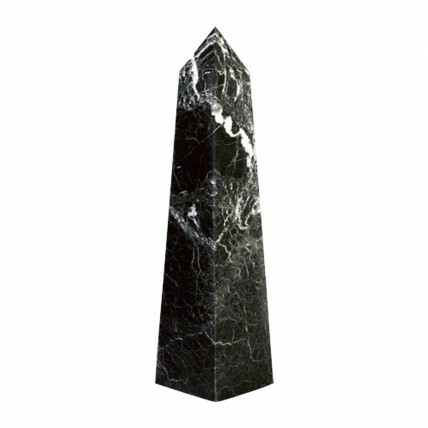 In your choice of 4 sizes, this solid marble obelisk awards is sure to impress! 8 inch: 1.5"x5, 10 inch: 1.75"x6", 12 inch: 2"x8", 16 inch: 3"x12"
Production time for this product is 7 business day(s); expected pickup or shipping date is 04-30-2019.